Covering a lot of bases, this medium SUV is not only known for its lovely looks but is also packed with loads of value with prices starting at $29,990. 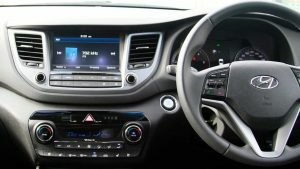 With sharp lines, smooth handling & delightful leather trim it’s easy to see why this car has become one of Australia’s most loved medium SUV’s. With 1487 litres of precious cargo space, you can pack up the entire family (and the neighbors) for a trip of a lifetime. Beyond the space, let’s talk features… 4 bottle holders, 4 cup holders as well as a center console bin (no more grubby kids tissues in the back). And for all the tech geeks out there (my hand is up), the air con climate control is a tray that can comfortably hold your smartphone as well as a USB port and two 12 volt outlets. Specs: Active, Active X & Elite 4WD are offered with 2.0-litre four-cylinder GDI developing 121kW/203Nm with a choice of manual (6 speed) or automatic. Petrol engines are loaded with standard 91 RON unleaded with fuel tank capacity of 62 litres. Towing capacity is consistent across from Active to Highlander – with 1600kg braked and 750kg unbraked. Pros: Looks stylish with uncompromising quality. Cons: Interior can look a little cheap with the use of plastics.